Today Angel Learning, in conjunction with the Second Life Educators community (SLED), will unveil a brand new island in Second Life dedicated toward educational experimentation. Campus Technology had a chance to teleport to the new island ahead of its May 15 public debut to bring you this exclusive preview. The idea behind Angel Learning Island is to provide a space for educators to experiment with learning scenarios, meetings, and other kinds of interaction with students (and each other) in a virtual world. 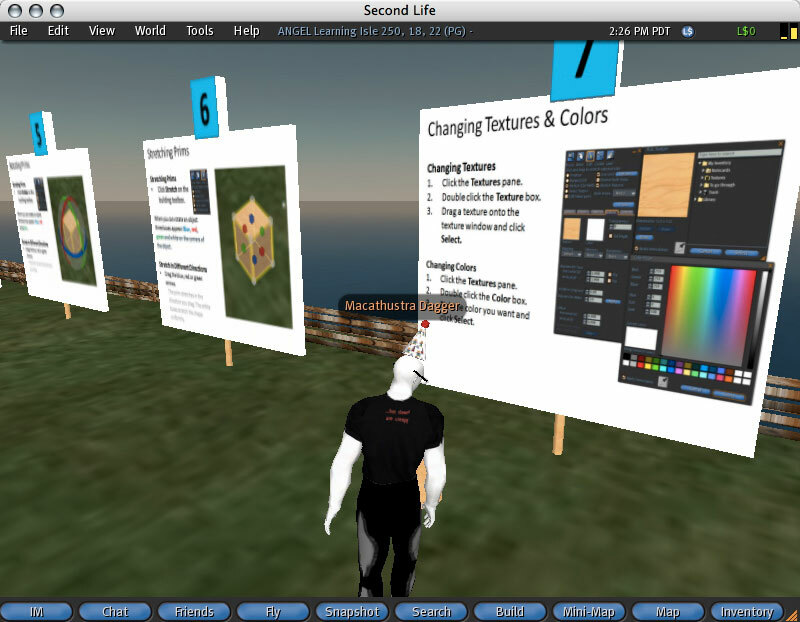 The island is free for all (not just Angel LMS customers), so educators can learn about Second Life--the basics, as well as advanced techniques--before investing any campus resources and before committing to any one particular approach to learning in a virtual environment. Ray Henderson, chief products officer at Angel Learning, told us he thought that educators did not need "experimentation in isolation, but more open places where there's a ladder up, so to speak, a way to [educate instructors in the ways of Second Life] so they can do experimentation on their own." Angel Learning Island is a cooperative effort with SLED. ""Second Life is great for education because it's a learner-centered environment," said Sarah "Intelligirl" Robbins, SLED project manager. "Learning in a Second Life environment removes the barriers between instructor and student and allows teachers to put their students in the driver's seat. Imagine being able to tear down every building on campus and then allowing students to redesign the space for their needs. Imagine students who stay long after class time is over so that they can collaborate with their classmates, students from other universities and faculty members in other fields. This is the kind of highly engaged learning that is possible in an immersive environment such as Second Life." Educators visiting Angel Learning Island arrive at SLED Orientation Garden, which provides a sequence of 10 "essential skills" for getting around and otherwise making oneself a functioning member of the Second Life human race. My dude (Macathustra Dagger) at the SLED Orientation Garden. Man, if Second Life characters had D&D stats, this guy would have a charisma of 18, no doubt--with or without the party hat. It also includes tutorials on more advanced Second Life controls, such as building and modifying objects. This area of Angel Island also includes sample objects for users to play with that incorporate Second Life's physics. 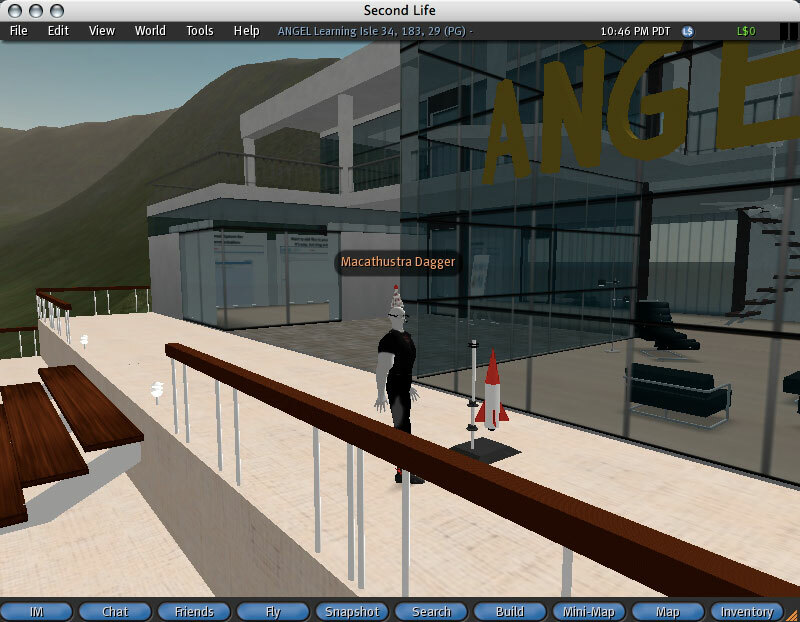 Beyond the text and video tutorials posted on billboards, Angel Learning Island also provides number of buildings and areas where educators can experiment with virtual classrooms, practicing skills such as leading a class in Second Life and even operating fully functional slideshows. The Educator's Tool Gallery, where educations can work with self-created slideshows and practice other classroom techniques. Angel itself does not have an obtrusive presence on Angel Learning Islad, just a single "corporate building" with facilities, such as a meeting room. Macathustra loiters outside the Angel Learning corporate building, wondering whether anyone saw him plant the rocket launcher. A slacker AND a pyro. Sorry, he's taken. Links to other education sites of interest within Second Life. In addition, the island includes an outdoor theater. Angel will stream video to the theater live during the Angel User Conference. One of the obvious questions about Angel Learning Island is whether there will be some sort of integration with Angel's learning management system, Angel LMS, or whether there will be any particular advantage to being an Angel customer. 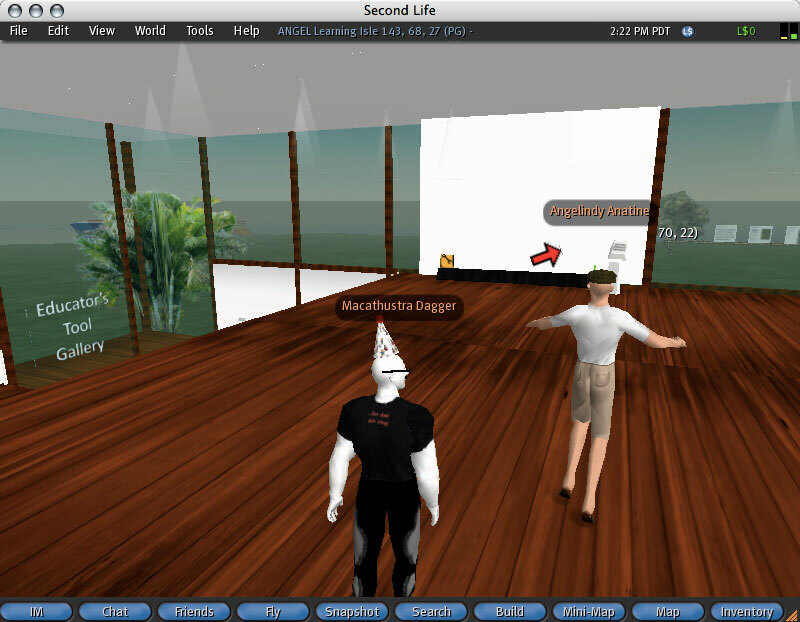 Angel would not comment about future versions of Angel LMS, including whether or not there would be Second Life integration. However, Angel's Henderson said, "LMS and education platforms in general are rich in collaboration tools, and this is a new form of collaboration. It will take some time for people to come up to speed on it and make practical use of it, but I would be surprised in the course of one or two years if you didn't see a presence from all the learning management companies. Within two years all of our competitors will be offering ties between their systems and Second Life." 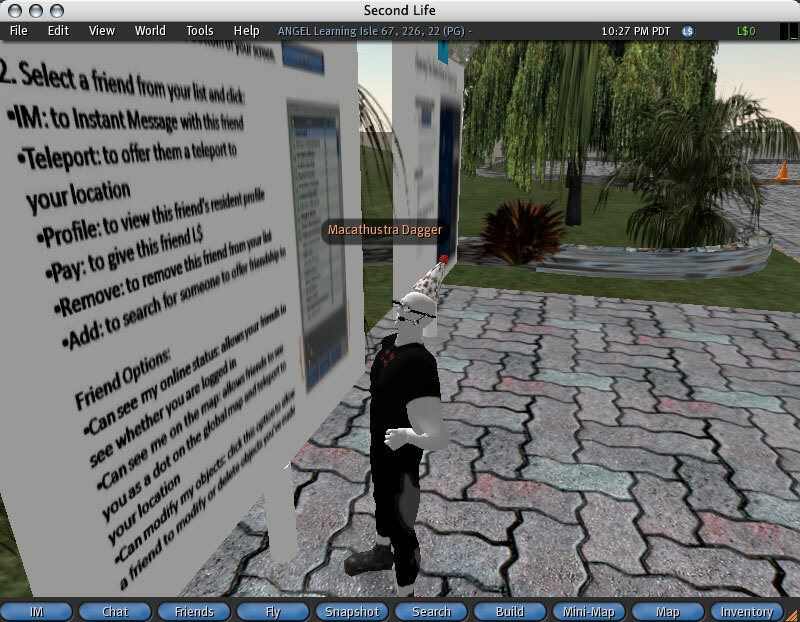 However, he stressed that he did not see virtual worlds like Second Life ever replacing "traditional" LMSes. "I'm skeptical that SL will replace the need for LMS; [it] will supplement them in the area of collaboration." As for the benefits of being an Angel Learning customer on Angel Learning Island, Henderson would not get into specifics but sad that the company "will do things specific for Angel Learning customers." Angel Learning Island will be announced later today at the IMS Learning Impact Conference in Vancouver and will open to the public May 15, which coincides with the opening of the Angel User Conference 2007, being held May 15 and 16 in Indianapolis, IN. According to Angel, Those wishing to participate in the open beta are welcome and should contact Nancy Schmutzler, senior marketing communications specialist, at nancys@angellearning.com.